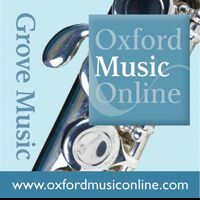 Grove Music Online (aka Oxford Music Online) migrated to a new platform in December. This migration happened suddenly and there are a number of bugs still being worked out. The Music Library Association (MLA) has a news blog on the Grove Music Online Update with issues and tips that may help you if you have questions about your search results or missing information, and we (your librarians at Yale) are not immediately available to help. Music librarians in the US and Canada have been very active in reporting issues to Oxford University Press (OUP), and Anna-Lise Santella, Senior Editor of Grove Music Online, is updating MLA weekly with responses. OUP has assured us that many of the major issues will be resolved in the near future. Feel free to report issues you find to us. One of the most confusing features is the prominent “sign in” box in the upper left. If you see Yale University above that, rest assured that the database recognizes your computer as being part of the Yale subscription, and you have full access to the content. The sign-in box is actually for individual subscribers; just ignore it. The new platform will facilitate incorporation of articles from The Grove Dictionary of American Music, 2nd ed. (2013), and The Grove Dictionary of Musical Instruments, 2nd ed. (2015), into Grove Music Online. At present some of the articles are in Grove Music Online but the complete texts of these recent editions are online through Oxford Reference. For a list of articles already present in Grove Music Online, see What’s New. Also of interest are the Subject Guides and Research Resources, now linked from a single page on the new platform, which include indexes (such as those from The New Grove Dictionary of Opera: opera incipits (first lines) and opera roles), and research resources that give overviews of scholarly resources, such as library collections and manuscripts.